Such a cool gift! 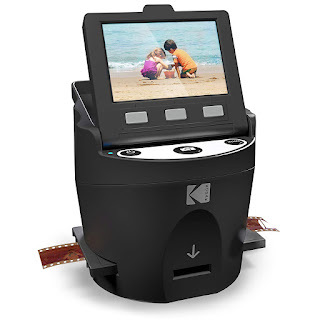 Head over to get this KODAK SCANZA Digital Film and Slide Scanner for ONLY $119.99 (Retail $229.99)! Want to experience old memories without the pricy cost of conversion? With the Digital Film Scanner from Kodak, reliving the past is as simple as scan, save and share.This versatile film-to-JPEG converter digitizes and optimizes a variety of antiquated films including 35mm, 126, 110, Super 8 and 8mm negatives, enabling you to transfer images to any Mac or PC device for saving, sharing, printing and editing. Our all-in-one package comes ready with everything you need to start scanning: various film adapters and inserts, a built-in LCD color display, an exceptionally easy operational interface as well as multiple cables for device hookup. Don't settle for less than superior image quality. Trust the giant of digital innovation.